The item Alexander hamilton, Ron Chernow, (electronic resource) represents a specific, individual, material embodiment of a distinct intellectual or artistic creation found in Lawrence Public Library. 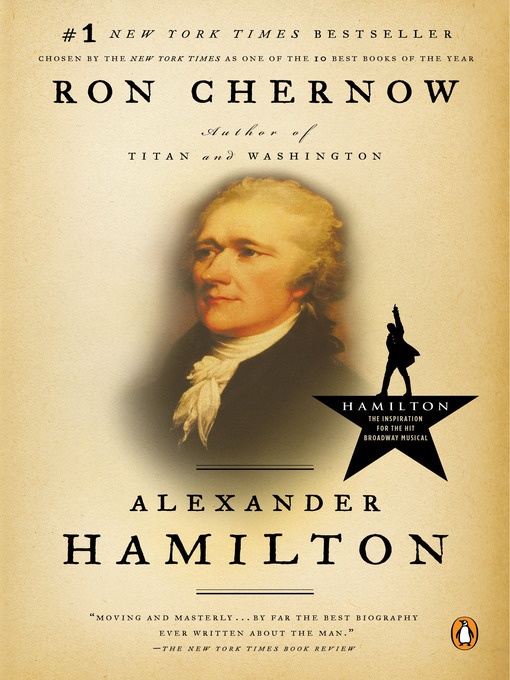 In the first full-length biography of Alexander Hamilton in decades, National Book Award winner Ron Chernow tells the riveting story of a man who overcame all odds to shape, inspire, and scandalize the newborn America. According to historian Joseph Ellis, Alexander Hamilton is "a robust full-length portrait, in my view the best ever written, of the most brilliant, charismatic and dangerous founder of them all." Few figures in American history have been more hotly debated or more grossly misunderstood than Alexander Hamilton. Chernow's biography gives Hamilton his due and sets the record straight, deftly illustrating that the political and economic greatness of today's America is the result of Hamilton's countless sacrifices to champion ideas that were often wildly disputed during his time. "To repudiate his legacy, " Chernow writes, "is, in many ways, to repudiate the modern world." Chernow here recounts Hamilton's turbulent life: an illegitimate, largely self-taught..